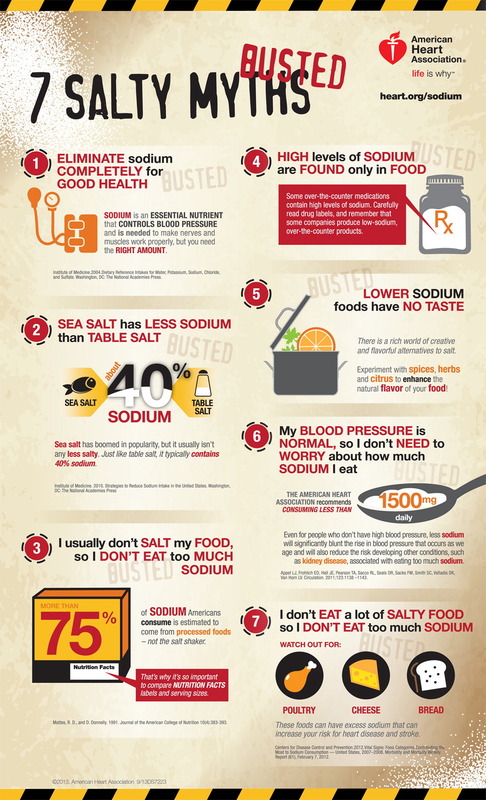 Most people are aware that they need to cut down on their salt (sodium) intake. That’s a good start. However, some ‘facts of life’ prove extremely helpful in the lower sodium quest, according to the American Heart Association (AHA). Spoiler alert: your table salt shaker isn’t the main culprit. Restaurant foods and commercially processed foods sold in stores accounted for about 70 percent of dietary sodium intake in a study in three U.S. regions. 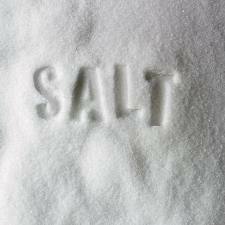 Salt added at home during food preparation or at the table accounted for a small fraction of dietary sodium. These findings confirm earlier recommendations from the Institute of Medicine to lower dietary sodium by decreasing the amount in commercially processed foods. Deciding to eat intelligently is a step in the right direction when it comes to living a long healthy life. But it is only an early small step. You can get tripped up even with the best of intentions. Eating right is not as easy as it sounds. Time magazine recently produced a page entitled 9 Foods that make you hungrier. It seems that “’The sight, smell, or taste of some foods will trigger the cephalic food response,” according to Dr. Belinda Lennerz, an endocrinologist and researcher at Boston Children’s Hospital and Harvard Medical School. The bread basket is a prime culprit in restaurants because it triggers your body’s ‘give me more’ responses and spikes your blood sugar levels. The American Heart Association strongly refutes the findings of a May 20, 2016 article in The Lancet by Mente, et al, that suggest low sodium intake is related to a higher risk of heart disease and death. On the contrary, the link between excessive sodium and high blood pressure – as well as higher risks of heart disease, stroke, heart failure and kidney disease – is indisputable. Lowering sodium is more important than ever. 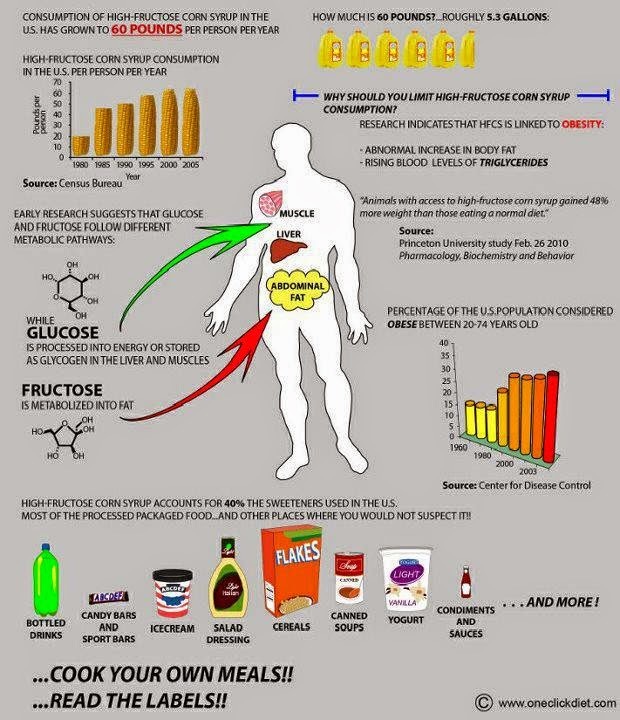 Really interesting post on the impact of sugar, especially fructose on our bodies. To read more on the soft drink aspect, please check out my Page – What’s Wrong With Soft Drinks? The sweetness of ice-cream can be overwhelming. The sweet tooth seems to require a treat now and then. But why are most food manufacturers overdoing the sweetness thingy. You have an ice-cream treat and although it initially tastes nice, after half is consumed you feel the sugar molecules crawling in your mouth with the sugar taste lingering for several hours. The same with a blueberry cheesecake. The sweetness is just overwhelming. I could go on and on. I am not after sugar replacements, I just want the sweetness to be toned down. None of these are shocking new information, but I think they combine well and maybe remind us of something we aren’t doing right now, or as often as is healthy. I like the 80/20 rule a lot. 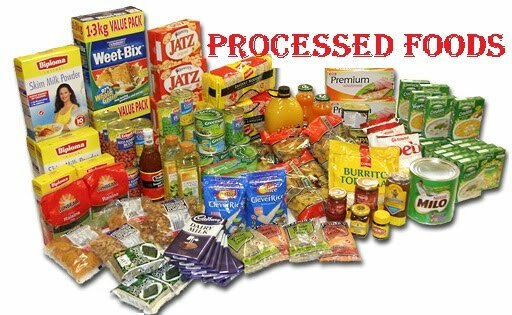 Eat natural, unprocessed foods 80 percent of the time and your favorite processed treats 20 percent. The American Heart Association recommends we limit our sodium consumption to 1500 mg per day, but that doesn’t mean we have to eliminate salt from our diet. We just need to pay attention to how much we are consuming. I thought there were some particularly useful ideas in this, particularly that 75 percent of the sodium we consume comes from processed foods. High fructose corn syrup accounts for 40 percent of the sweetness in processed foods. Check out this infographic to see what it means to the body. What’s Wrong With Drinking Diet Soda Daily? Does Diet Coke Make You Fat? Because I have both Alzheimer’s and dementia in my family, I have been reading tons about the brain for several years. If you would like to learn even more than the 15 things on this infographic, check out my Page – Important Facts About Your Brain (and Exercise). Which Do You Prefer? – Bacon and Eggs or A Bagel with Low Fat Cream Cheese? 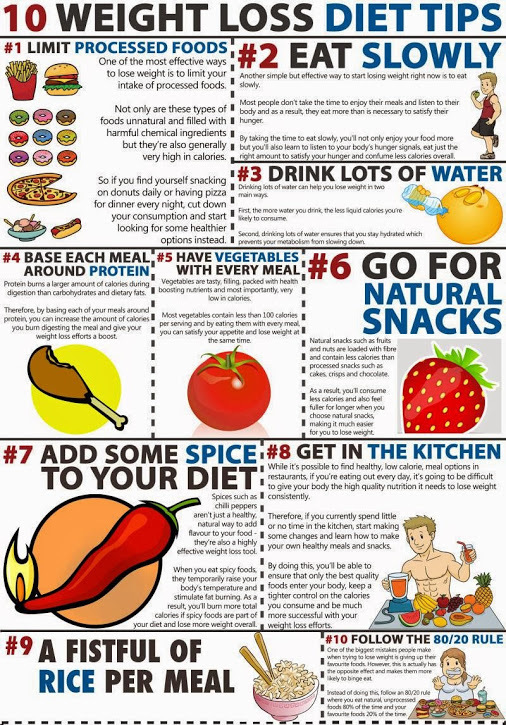 This cutie from Pinterest can be a companion piece to How Processed Foods Hinder Weight Loss of two days ago. The carbs in your stomach digest faster than most other nutrients. Carbs used for energy are digested, flooding your bloodstream with glucose. Your body rapidly secretes insulin, which signals your body to store fat, in two ways: Insulin tells your fat cells to pull in fat from the bloodstream, making you fatter. Insulin tells your fat cells to prevent fatty acids from leaving, preventing you from becoming thinner. I hope you will choose the bacon and eggs. To read more about another good fat, check out my Page on Why You Should Include Coconut Oil in Your Diet. There are lots of good fats. A recent study by the Institute of Medicine questioned the current guidellnes on salt intake saying they were too high. The guidelines issued by the government say that adults should reduce daily sodium intake to less than 2300 mg. For those over age 51, or with a medical condition like diabetes or hypertension, salt intake should fall below 1500 mg. The American Heart Association puts the limit at 1500 mg per day for the entire population. Regular readers know that I have been doing home study from The Great Courses since I retired over 12 years ago. So far, I have studied, nutrition, neuroscience, the brain and increasing longevity to name a few. Also, I have shared what I learned on the blog. So, I am pleased to announce that I have just commenced with The Science of Natural Healing. At this point I have listened to several of the lectures and am very impressed with Dr. Guarneri’s expertise. She came from regular medicine where she was surgically implanting over 700 stents a year in patient’s arteries. 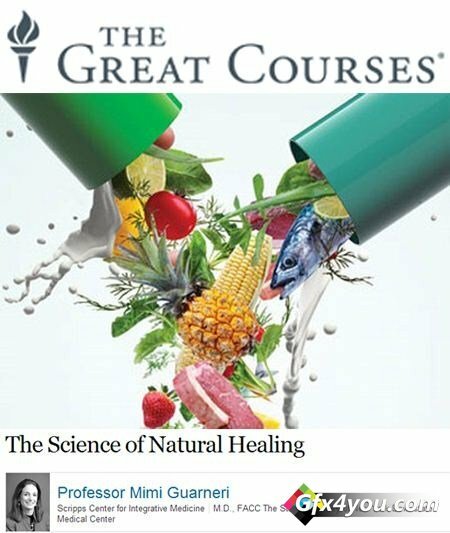 Through natural healing Dr. Guarneri has found what she considers to be a better way to prevent heart disease as well as myriad other diseases.